Discover why nearly all top sellers are using social media and why you should too with this free infographic. 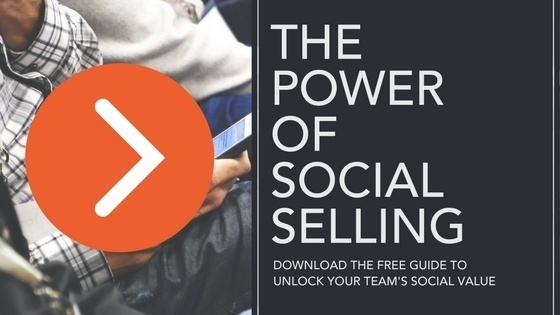 You’ll soon be ready to implement social selling into your sales and markerting strategy. Recent statistics have shown that 90% of top sellers are using social media to enhance their sales process and maximise their revenue. That’s nearly all of them! What does this mean for you and your sales team? That depends if you, like those top sellers, are harnessing the power of social media or, if you’re like the rest who aren’t. The bottom line for both B2B and B2C sellers, is that it shouldn’t be a matter of ‘if’ or ‘when’ to start using social media as part of your sales journey. It’s a case of ‘must’ and ‘now! Digital channels now impact 92% of all B2B buying decisions according to Digital Marketing Institute. With that in mind, it’s not hard to see that the chances of winning customers without a good social presence are dwindling to the point of no longer existing. On the flip side, brands that do have an active social-selling policy are likely to reach more influencial buyers, with bigger budgets (84% bigger!) and win more conversions. To borrow inspiration from NY Times Best Selling Author Jay Baer, social selling can create kinship between customers and companies, which ultimately equals purchase intent. With our free infographic below, you’ll hopefully be inspired into action by the proof of how powerful that kinship can be. You can learn more about the benefits of employee advocacy in this article we wrote a while back, or for a full guide to unlocking its power you click on the link below.